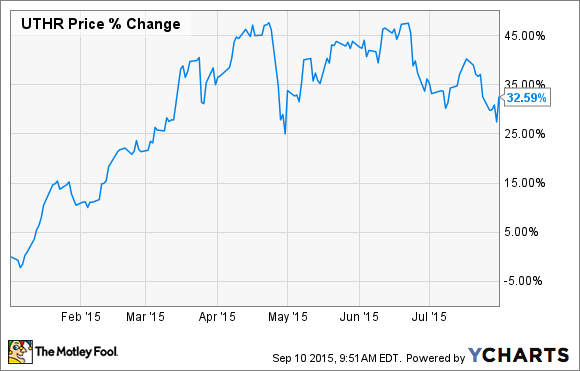 United Therapeutics Corporation's Stock Slumped in August: Is It Now a Bargain? 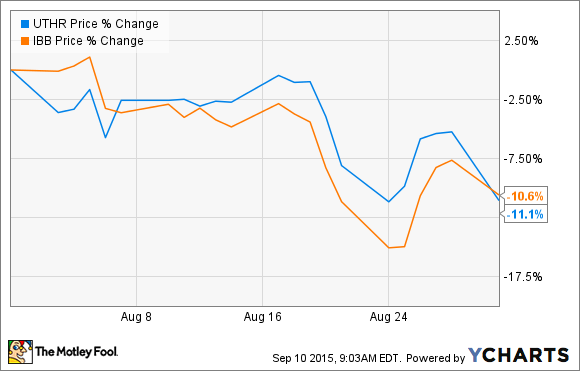 The moody market sent United Therapeutics' stock lower in August. Should investors take advantage of this sell-off by picking up some shares? What: United Therapeutics (NASDAQ:UTHR), a biotechnology company developing products aimed at the unmet medical needs of patients with chronic and life-threatening conditions, saw its shares dip by over 11% in August. Fortunately, this double-digit drop doesn't appear to be the result of a particular negative catalyst but is rather part of the biotech industry's widespread sell-off last month. Now what: United Therapeutics looks, to me, like a bargain after this market-fueled move lower. The company's relatively new pulmonary arterial hypertension drug, Orenitram, is seeing rocket-like growth saleswise, evinced by its 290% increase in sales to $25.8 million in the second quarter, compared to a year ago. And management believes the drug's hyperbolic growth trajectory is going to be sustainable for at least a few more quarters. With a forward price-to-earnings ratio that presently sits at 13.4 and a bottom line that is projected to grow by over 18% on average for the next five years, I think this is a mid-cap biotech that warrants a deeper look by investors in search of stocks with high growth potential and deep value.